It stayed there for years. When my parents repainted the porch, I felt a sense of loss. I still touch the space where I’d written our names, wishing I could erase the paint and take a photo for my own personal historic preservation. When I got older, my mother and I would fight over her clothes. I wore her sweaters, though my bony shoulders left marks like a hanger would in the cloth. They never seemed right on her again after I wore them, she would say. Before school, I would sneak in her closet and pull her tops on over my head while she was doing her makeup in the bathroom, and then sit at the table eating Pop Tarts and reading the obituaries of the Democrat & Chronicle when she came in the kitchen. She’d pretend not to notice that I was wearing her floral knit cardigan from Barbara Moss. My mother has always worn Maybelline Great Lash mascara in Blackest Black– the flamingo pink tube and the lime green cap feels both young and classic at the same time. She has olive skin, dark eyes, and wears thick black Revlon eyeliner with the red coating and burns it with a lighter before using. She used to have Coty powder–the gold, round, cardboard container sitting on her nightstand, next to her ashtray, where she would stow her chewed Extra bubblegum for morning. Lately, she’s begun an extensive alarm clock collection. Just in case. When my boys turn on the alarm clock radio and have a dance party in her bedroom, she will say gently just before they push the ‘on’ button, “Don’t touch that. It always messes up the alarm,” but then she will forget, entranced in their dancing, smiling with the gum pressed between her back molars. Though at the age of four, I had all of my top front teeth pulled after days of Tang-drinking and Tart ‘n’ Tiny addiction, my sons are two and four-year-old gum-chewers. 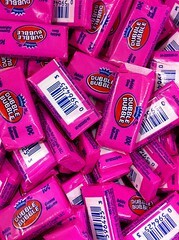 Their brand: Pink Extra Sugarless Bubble Gum. My mother tries endlessly to teach them how to blow bubbles. I scold her for giving them gum. She has a special stash hidden in one of her kitchen appliances for Johnny, so now it’s sacred and I can’t tell her no. My favorite childhood gum was Fruit Striped with the zebra on the package. I did my sixth grade science fair project on which brand of bubble gum kept its flavor the longest. I blow large bubbles that, when they pop, cover my nose so I can’t breathe. When I do this, my son thinks I’m amazing in the same way I think my mother is amazing as I watch her, kneading her gum between her thumb and her teeth, stretching it long like taffy and then pressing it close again. I start this letter on your birthday. When you were younger, you lost a sister to a milk truck. I know nothing of her. I tried to look it up in the news archives and I couldn’t find it. Her name is Bernice, and her short life becomes a thread now, a dwindling string from a threadbare shirt that you wore and washed and took off and put on and grew tired of and passed on. I can’t find the article in any newspaper, though I watched her name disappear from the census records. I know her name because it is your middle name. I wrote a story loosely based on that pain. You were smoking cigarettes on a porch with a husband who loved you like Grandpa did, with the kind of love that left him whimpering, in a way that he didn’t even realize he was doing, after you passed. In the story, you and I are one. You moved a lot Grandma, but I hate moving. Your character cries hard for the death of her sister every day, and I am there, in you, crying over losing a house. The silly things that matter to me. Had I cared enough at all about these things while you were still breathing, I would have asked you about Bernice during that round of Apples to Apples–the first and only I would ever play with you–but, instead, we talked in code about Hilary Clinton, who, you lamented, shared your first daughter’s name. I find in this way that I love people much more after they’re dead, and that’s just not fair of me to do. Last night, Grandma, I spent two hours on the “Find A Grave” website, trying to corroborate a mother and child’s graves with a news article from January of 1861. The mother was murdered by her husband when she was very pregnant. The story disappeared after that, and in the following issues of The Brockport Republic, I can’t find a single article that discusses identity, tells who this poor woman and her forgotten child is. I tried to look them up by death date, but then I wondered: About the baby, can it have a death date if it was never born? Can I call it a “forgotten” child if it was never known? I know you went to college for biology. You starred in plays. You had a director’s chair with your name–Jody–on it that has been lost in piles of bankers lamps, and old paintings and crackled glass. You died on New Year’s Eve. My father jokes that he cried harder when he lost Buddy, his first golden retriever, but that was a one-time cry, Grandma. He cries for you every time he breathes whether he knows it or not. I found out I was pregnant with my first son, John (named after your second son), two months after you died. I debated telling anyone I was pregnant at first because it was my sister’s birthday, and she already shares her birthday with her son, so I didn’t want to steal it away from her. But, Grandma, what I wish I could have talked to you about, was this hard thing called motherhood, that pregnancy comes with this guilt that any thing you do for yourself is somehow not good for your children. I am getting my MFA and spend a lot of time writing. I spend a lot of time in stories set in tumultuous times when women hid their bodies away from public while they were pregnant. Back in the day, you didn’t have Ted Talks to tell you how to interpret the responsibility of bearing life. You did have a bible, but Grandma, how do you know the right answers to a text that has as many interpretations as words? Is that why you majored in biology, Grandma? I hate science. So, I guess what I want to say is this. This space of being a woman. For having odds of 1 in 2 to be a woman, why do I still feel like being a woman is something strange? Something that needs to be managed? Handled with birth control and anti-depressants and coffee and credit cards? No matter how far you came Grandma, and you saw so much of it, women still have work to do–mostly amongst themselves. My mother is the only woman I don’t have an inherent competition with, the only woman I have unbridled admiration of, the only woman who I know, without one doubt in my mind, feels the same way about me. Mothers are special things. Women don’t love each other the way they should. There are fights between sisters and friends and mother-in-laws and what happens is that we’re left in this lonely place. I am as guilty of this as anyone. I wish I would have asked you these things sooner. I know you fought long and hard with your sister. We hear from her less now. We are afraid to visit her because we all wonder if she wants to be left alone, or if her house is dirty, or if she’s become a werewolf. I should be asking her things that I will regret not asking her later. I am writing to you, instead. I want a daughter, Grandma. I feel so guilty typing that, so I backspace it, or I add this in front: “I love my sons, but…” I took that part out because that should go without saying. Who would ever think a mother would not love her sons with every part of her? We all worry about this, though. We all struggle to show how much we love. I look at your pictures and see my eye color there, and something else too, but I can’t be sure because I never knew to ask. When I had my sons baptized, Aunt Hilary and Aunt Jill gave me an old bible of yours. The Mother’s Prayer had fallen out and was so worn that I could hold it to my face like cotton. I did. You had taped it in the middle. You used it often, and I wonder if it was the act of looking at it that gave you peace or actually reading what it said? I am a pro at analyzing texts, but I need your help. I love that where the prayer says: “teach them to love God alone,” you have covered the word ‘alone’ with a thick line of lead. This, Grandma, tells me more than the prayer itself. Every night, I cover Sammy, who was born the day after Grandpa died, with an angel quilt that Aunt Hilary made for the boys out of your shirts. Grandma, now it’s two days after your birthday, and I am many years too late asking these questions. love mostly because it explores the mind in grief, the desperation to believe in afterlife, in spirits, ghosts, visitations, posthumous contact. I can see how even the hardest skeptic, Grandpa, will come around after losing someone they love dearly. I imagine you in this space, in your home in Pittsburgh, before you died, but after Grandma passed, longing so hard you believed that Grandma was still there. Is that why you left her recliner there even after she was gone? They looked like twin seats, you the pilot, waiting for your copilot before take-off. I can feel her, too, Grandpa, sometimes. Sometimes the tin cookie cutters Aunt Hilary gave me fall from their hanging place on my kitchen wall, and though Cory tells me it has been sliding down the nail since I last replaced it, inching its way off the hook, I believe Grandma might have thrown it at me, playfully, if I’ve sworn, or messed up the gravy, or said something unkind, or perhaps argued against my conservative husband. I wonder these things, specifically: were there ever mysteriously more ashes in the ashtray–a slow mounting of phantom ashes next to yours? Perhaps a whiff of her perfume, the scent I can still glean from Grandma’s chenille scarf you gave me shortly after she passed, the scarf that I preserve in a ZipLoc bag because of its scent, because of trace white hair, her hair, that clings to it still. Or this–a warm dent in the mattress, a dent just grandma’s size, slight and still, but warm. I wondered these things while I read this novel. I hoped you had these tiny moments of peace. After you passed, Grandpa, Sammy was born. I keep coming back to this because in your last days, when I couldn’t see you, everyone told me you said some things about Sammy and Johnny. Everyone says it’s the promise of children that helps one approach death, though I think that’s something you alone could grasp on that day. Sammy was born the next day, three weeks before he was expected, but the day after you passed. A signal, perhaps? Grandpa, my close friend is learning life without parents, as is my father, now, and I don’t know what to say, but you managed so gracefully, so wonderfully, beyond your own losses. I wonder if some contact from beyond guided you. Last April, a year after you passed, Aunt Hilary gave me one of your writings–not the standard limerick you wrote, but a short nonfiction piece titled “File No. 209.” It was about Grandma’s toes, how she could use them as fingers. I remember family talk of the “Lotze toes,” characterized by an abnormally large space between the first and second toes, and wondered if it was this phenomena that had you writing this piece. Either way, I learned you had sent it out in the 60s, and that it had been rejected. When I sent your piece out again, fifty years later, I did so hesitantly. It is one thing to submit your own work to a magazine, to prepare yourself for rejection, but it is another thing to feel responsible for the work of someone you love. For my own rejections, after the first few crying fits, they became less-intrusive than paper cuts. Rejection, in some way, becomes a state of permanent grief after tearing open the envelope, a way of saying, “Eh. I didn’t think Third Coast would want that essay,” the same way one might wake on the 417th day after losing someone they love and say, “Oh. Right, they’re gone still.” That they’ve gone somewhere without you, left you, uninvited. 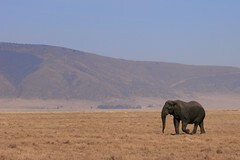 When Aunt Hilary sees an elephant randomly in her day, she tells me. Or a note you wrote to Grandma in the 80s wafting to the floor from a bible she’d just picked up. Or this: when I’m hit with the smell of eucalyptus from nowhere, but in my mind, from your condo in Cincinnati. I knew the odds. I knew the magazine I sent your writing to only accepted approximately .8% of submissions (according to unscientific data, so you probably are rolling your eyes), but I also knew this piece was stunning, endearing, but wondered if it was just our family that loved it. Then, last week, the editor at DIAGRAM was happy to accept your piece, “File No. 209” for publication, and I thought, for a moment, maybe the worlds had converged. Maybe you were here, watching me jump and dance and scream in a way that no other acceptance has made me do, in a way that had my German Shepherd’s head cocked. We all look for peace somehow, Grandpa, mostly in the everyday: the first cup of coffee or cigarette after rising; the shower water, once warmed; the space one hides in after telling a bad joke. Then there are moments when peace is not found, but is bestowed: your name in print as though you’ve never left; an acapella proposal that Grandma would have loved; a baby, being too patient, making us all wait on edge. But soon, we all know, these moments come like the quiet grasp of a finger.